This is a mardi gras themed (purple, green, gold colors) “pasta” dish. Contest prep friendly. 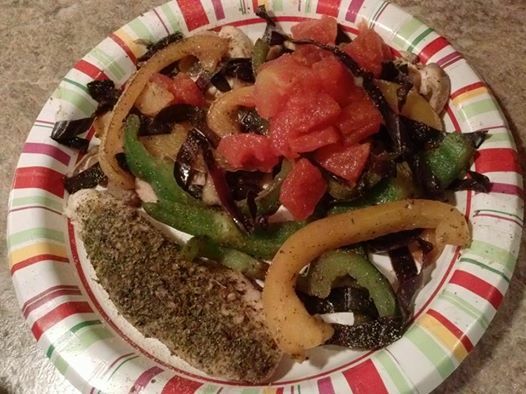 Green and yellow peppers, purple cabbage, salt free canned tomatoes, lots of Italian Mrs. Dash and garlic. Also some chicken.